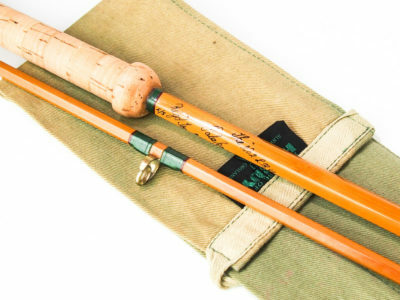 In very good condition as it has been very well looked after and stored correctly. 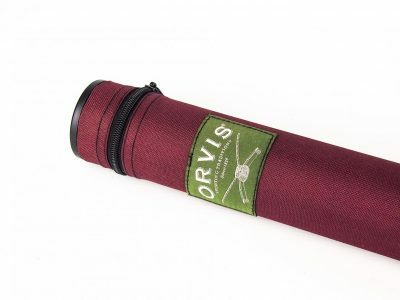 The rod is nice and straight with NO sets or ticks, nice tight suction ferrule joints (as these have been professionally replaced) alloy low-bell rings throughout with burgundy silk whippings, smooth cork handle measuring 28″ and presented in its original Sharpe’s rod bag which is also in very good condition. 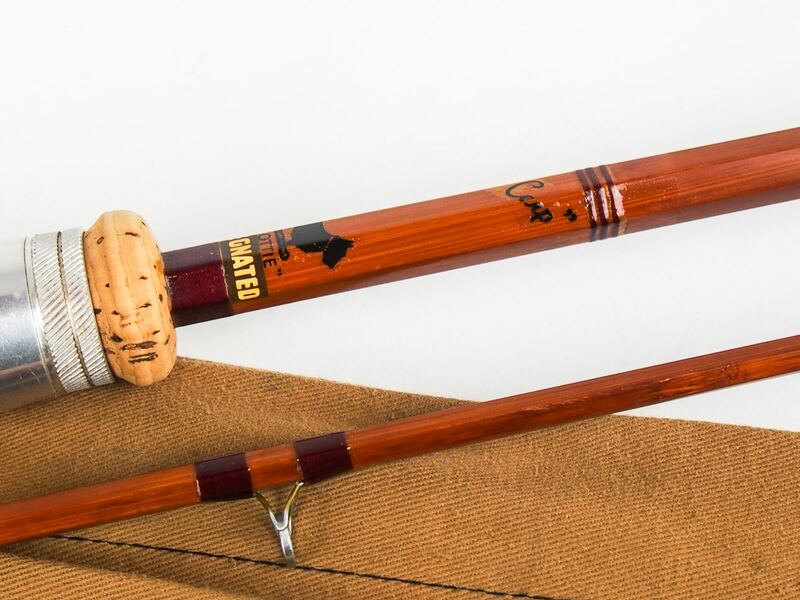 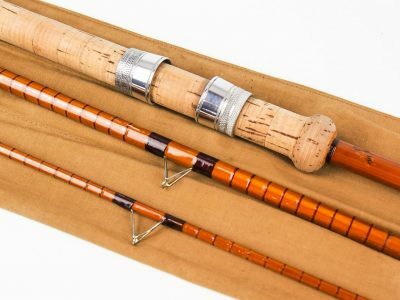 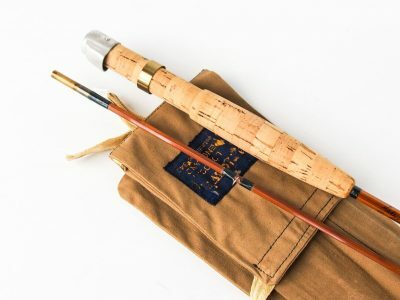 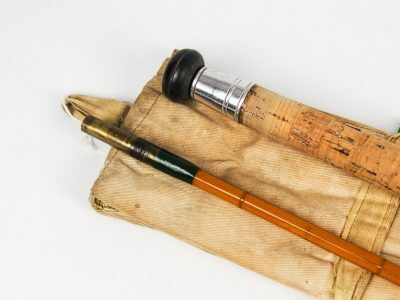 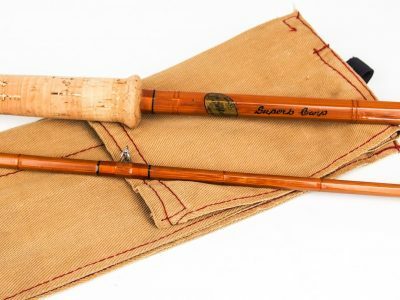 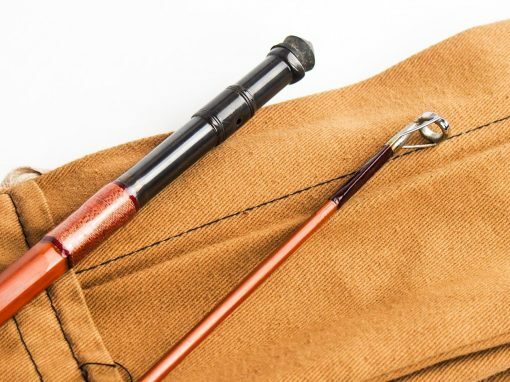 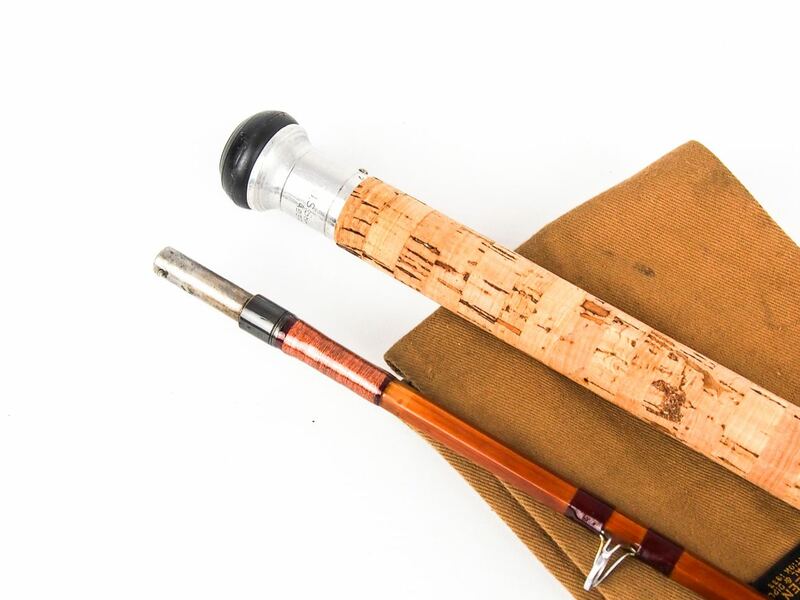 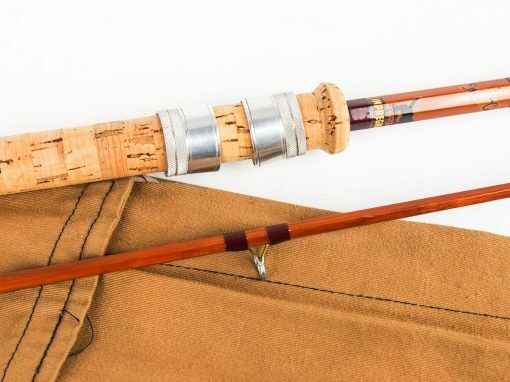 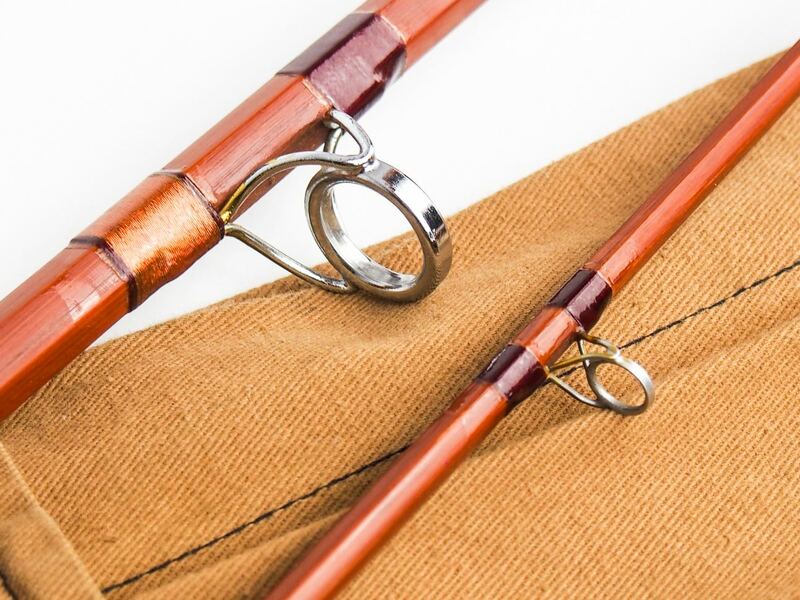 This rod would not only be a pleasure to own but a delight to fish with.